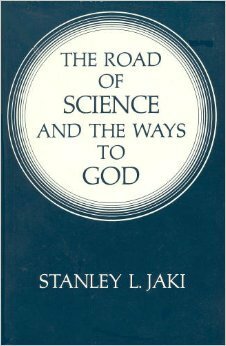 Introduces the lecturer’s aim: to show that ‘the road of science, both historically and philosophically, is a logical access to the ways to God’ (4). The ways are Aquinas’ five proofs of God, or more broadly, natural theology. Lectures 1-10 cover pre-20th-century foundations, dead-ends and developments in science. Attacks on the traditional proofs have been myopic about epistemological issues, and this myopia would destroy science itself if rigorously applied. This is because the proofs are ‘the embodiment of reflections on what is the ultimate in intelligibility and being’ (5), and science begins from the same reflections. Previous historiographies of science, indebted to variations of Enlightenment rationalism and deistic anti-supernaturalism, have failed to understand that ‘from Copernicus to Newton it was not deism but Christian theism that served as a principal factor helping the scientific enterprise reach self-sustaining maturity’ (11). Despite long periods of economic and political stability, science failed to rise in any other culture for religious and metaphysical reasons: a ubiquitous belief in the divinity of the heavens and the eternal recurrence of all. These produced an epistemology filled with inconsistency that destroyed belief in humanity’s power to discover the laws of the cosmos. In contrast, medieval theism offered the only successful venue for the birth and rise of science, providing foundational themes necessary to that success: an intelligible cosmos, created, not divine; therefore contingent; and time as linear. These themes are entirely indebted to distinct theological tenets. Science began but eventually withered in ancient Greece. Their insight was that mechanistic physics, concerned only with the configuration and succession of events, is not an argument against purpose, since discovering the mechanics is itself a most purposeful enterprise. Their failure was that their desire to save purpose for humanity and the world overrode their study of actual phenomena. Where phenomena are not studied for themselves without a priori precommitments to what must be found, one may be blind to what is actually there. The Greek focus on human intellect turned their science into philosophy, bypassing empirical research into nature and blinding them to ‘deeper patterns of intelligibility’, effectively killing nascent science. The worldview of the Middle Ages included key Christian beliefs in the personal, transcendent God, and the created, orderly and contingent cosmos. These were shared as cultural convictions, not just intellectual fashion. Competing worldviews did not recognize nature’s creaturely and contingent status. Aquinas corrected Aristotle with three principles: ‘the existence of the transcendent God, the creation out of nothing and the freedom of man rooted in the immortality of the soul’ (39). The cosmos’s contingency points to a transcendent source and eliminates the usefulness of a priori discourse, while its rationality makes it open to rational and empirical investigation, though only in a posteriori fashion. These beliefs were indispensable to the progress of science out of infancy in the 17th century. There were many Renaissance dead-ends for science – Ockham’s nominalism, astrology, magic, cabbala, Bruno’s pantheistic cyclic cosmos, Plato, Aristotle, and even Archimedes. In contrast, the rise of science from the genius of Copernicus, Kepler and Galileo was rooted in very distinctly Christian foundations. The empiricist movement of the early 17th century, including Bacon and Hobbes, failed to inspire maturing science. Rejecting metaphysics from natural science, it noted a connection between knowledge and the world of the senses, but failed to provide a sound scientific method, or to show that science could indeed be divorced from metaphysics. Regarding the world as noncontingent and necessary decapitates cosmology, since not only is the cosmos a nonnecessary inference from the empirical data, but empiricism disallowed framing theories about any such potentially entire entity as the cosmos. Descartes’ rationalism used a priori reasoning based on human self-knowledge, supposedly invalidating a posteriori proof. But under such subjectivism, natural theology withered, and so too did the advance of science. Without the linking of sense and rationality, science, world, God and soul all appeared to be illusory according to Cartesian logic. This generated the scepticism of Hume, but no progress in physical science. Likewise, Spinoza’s pantheism, Malebranche, Berkeley and his categorical denial of an external world and the pure materialism of Diderot were all abortive to science. Natural theology and progress in science were intimately related in the 17th century, having a shared epistemological basis. This is especially evident in Isaac Newton, who took a middle road between Bacon’s undirected empiricism and Descartes’ a priori theorizing, inspiring ordinary science for two centuries. He believed the existence of a coherent and noncontingent Being, ‘whose essence is existence itself’ (89), explained the world’s coherence and contingency. Science could only progress with this view of the world. It was to be understood by experimental investigation, rather than by a priori theories, but understood nevertheless. Clarke, Leibniz and Locke rejected this middle road in favor of nominalist empiricism and gave nothing new to science. Hume allowed only sensory impressions to build ‘truth’ in his system. His writings about science badly misrepresent Copernicus and Galileo as cursory empiricists. In fact, they were willing to follow with their minds a direction contrary to their senses and believed the cosmos’s rationality was a reflection of the Creator’s rationality, and so accessible to his highest creation, the human mind. This link to natural theology led Hume to insist there was no mind, only distinct thoughts strung together in the appearance of consciousness, with no intrinsic connection of sensations to either mind or the objective world. Such a mystifying and unintelligible vision of the cosmos is an attack on both the ways to God and the possibility of science. Kant insisted a priori philosophy could be used to discover the nature of the cosmos, advocating an infinite cyclic universe. His efforts at science in terms of his Critique of Pure Reason are a failure, leaving the seeker of truth trapped in his own mind, since it was impossible to know things in themselves. His keystone uniting the mind with the phenomena is a priori subjective mental assumptions and imagination. He aimed to destroy natural theology, but did not touch its heart in the cosmological argument: nonnecessary beings imply a necessary Being. His principle that the Creator must ‘bring into existence all conceivable possibilities’ destroys ‘the possibility of a logically consistent cosmology,’ and renders both God and cosmos unintelligible (120). The lesson: rejecting the ways to God also prevents travel on the road of science. Examines 19th-century philosophical idealism in Fichte, Hegel, Nietzsche and the Marxists. Many advocated the eternal return, and all rejected the ‘empirical given of nature’, including empirical evidence of God, using variations of Kant’s subjectivist arch or keystone of knowledge. Such idealism, wherein the subjective trumped the objective and the connection between the two was broken, was inimical to science. Where knowledge is regarded as complete in structure in a priori fashion, a posteriori science is unlikely. These related illusions about the world, humanity and God would have ended the progress of science if followed: without contingency, no science is logically possible. The philosophy of positivism in Comte, J. S. Mill and Ernst Mach was an epistemological failure for science. The positivists rejected metaphysics and the idea that there is anything objective in the relations of cause and effect. These assumptions destroy the basic motivation to do physical science. Science is only possible where there is ‘unrestricted consistency’ – which Mill’s empiricist positivism saw as an epistemological impossibility. Historical accounts of science produced by the positivists ignore the contribution of medieval natural theology. Part II begins with an analysis of Max Planck, the father of quantum theory, who was committed to belief in the ‘absolute embedded somehow in the physical’ (167). His efforts to match theoretical physics with observation eventually led to his breakthrough to quantum theory. He saw pure reflection on the laws of nature as helpful, but also that science only truly advanced where the cosmos was regarded as objective and its laws as unchangeable, ‘independent of the scientist’s culture and habitat’ (175). He noted the religious and intellectual convictions of science’s early giants. Planck’s contribution, the h of quantum physics, points to nature’s unity, contingency and its source beyond. Einstein had metaphysical faith in objective reality. He rejected positivism and embraced metaphysics as necessary, since the goal of science was to discover both how nature worked and why it was the way it was and not otherwise. The triumph of modern cosmology showed that our notion of the universe as a totality of all interacting material entities was valid. This is a death’s-blow to Kant’s claim that universals are not valid knowledge, and it reopens the supposedly discredited subject of natural theology. Although claiming no religion, Einstein repeatedly marveled at both the god-like quality of a brilliantly ordered universe and the miracle of human intellect that made understanding possible (192). Examines inconsistencies in the ‘Copenhagen school of epistemology’, the semi-philosophical interpretation of quantum theory followed by Niels Bohr and others. Claiming that objective knowledge of reality is impossible because observation influences phenomena, they believed their methods were sufficient to explain the phenomena as an accident of sense experiment without actually describing reality itself. Yet the concurrence of their mathematical models with nature is itself a marvel to be explained. By rejecting a common-sense grasp of reality, their epistemology fails at the ontological level. The logical positivism of the Vienna Circle inspired by Mach, including that of Schlick and Neurath, was rooted in a superficial understanding of the connection between epistemology and the type of knowledge available in the ‘exact sciences’. Its failure in such soft sciences as psychology is evident in its inability to address the questions of freedom and dignity. Metaphysics is rejected as meaningless as a basic assumption, not as a result of their work. This systematic exclusion of metaphysics also means the exclusion of science. For example, without the deeply metaphysical assumption that nature obeys mathematical simplicity, science and modern cosmology are stranded. Koyré and Kuhn cast psychology and sociology in the role of metaphysics in their histories of science. Koyré saw scientific revolutionaries as ‘sudden mutations of intellect’ (233), suggesting that science creates patterns, but does not follow any grand overall pattern. Kuhn’s Structures of Scientific Revolutions usefully describes science’s advance in terms of paradigm shift, but reduces that advance to political and sociological processes and ultimately to irrationality, ignoring the thought and genius of the contributing scientists. His theory cannot explain the growing correspondence of scientific paradigms to physical reality or the unparalleled consensus of scientific knowledge in the past four centuries. The assumptions science must make about reality to progress require that an honest history include epistemology and metaphysics. Feats of the mind are basic to the history of scientific discovery. Histories that neglect this mental aspect or credit it to pure empiricism or reduce it to sociology are inadequate. The greatest scientists from Copernicus to Einstein were none of them pure empiricists. They believed in two propositions as essential truths: there is an objective truth embodied in the universe; and our minds are able to grasp that truth ‘ever more comprehensively’. Metaphysical questions remain unavoidable, but the tendency has been to avoid the highest metaphysical answer. Without an implicit reference to the underlying divine cause, science must rest upon the ‘paradoxical experience of the unintelligibility of intelligibility’ (259). Modern science begins with cosmology: a consistent discourse about the whole universe. The post-Newtonian science of the Enlightenment followed a false vision of a closed eternal cosmos until the 20th century, avoiding the cosmological question. Since cosmology has become the basis of modern legitimate science, that question reemerges as central. The contingencies of the cosmos, from the big bang singularity on, demand explanation, but an explanation is not self-contained within physics. The logical anchoring for a science of contingent singularity requires a rationale pointing beyond the cosmos. It is therefore illogical to espouse science while rejecting fundamental questions about the world that have only metaphysical answers. This chapter examines the question of purpose in the contingencies of nature. The contingent and fragile existence of life in the cosmos is a problem for the pure materialists who reject belief in purpose. From the beginning the scientific quest for understanding is purposeful in the fullest sense. The precise boundary conditions necessary for the actual unfolding of the cosmos and the processes of life are evidence of contingency, a feature central to Aquinas’ arguments. Efforts to isolate life from other aspects of nature are bad science, since the basic boundary conditions of the cosmos are the necessary prerequisite of life. Nature’s uniqueness and contingency are difficult to explain without reference to God. Science entails a resolute ethical break ‘with subjectivist, irrational world views and the acceptance of the consistency of nature and the consistent exercise’ of human freedom, an ethic science did not create. Inspired by evolutionary and pragmatic philosophy, Marxism, National Socialism and capitalism have all victimized persons. Difficult for the materialistic naturalist to defend, freedom of thought and conscience is usually defended by religious, not scientific, organizations. Cultural relativism is unable to honestly accommodate the scientific ethos of love of truth. It cannot explain why one culture gave birth to science, or why when science is introduced into other cultures it is not science but those cultures that are faced with the problem of major adjustment. Christian theism has provided an indispensable light for the rise and success of science. Western anti-Christian sentiment has led to the despising of natural theology and metaphysics, but only by wilfully ignoring the history of science and the unanswered questions left by mechanistic naturalism. Natural theology was at the heart of successful scientific epistemology during ‘its first phase of maturity . . . from Galileo to Kelvin’. Those who rejected the connection between the proofs and scientific epistemology, such as Hume, Kant, Hegel, Comte and Mach, all failed to produce decent science themselves. Only Planck and Einstein, with their conviction of the world’s coherence and singularity, were able to take science out of its Newtonian ‘inland sea’ to the ‘wide ocean’ of modern physics (322). ‘Real science is the science of a contingent universe’ (324). That this only makes sense within Christian theism is a key truth to pass on to each generation. The actual history of science is ‘vibrant with metaphysics’. But its teaching in the modern secular state increasingly strips away this essential element and leaves only the bare skeleton behind, a tool of half-truth for the agnostic and atheist agenda. When such an intentional avoidance of ultimate questions is pushed as a core academic and scientific ideal, the future will not be science’s improvement, but its death. True inspiration for the advancement of science is only possible “from unreserved commitment to the very same inner logic which gives life to theism as well as to science” (331). Our chief cultural task is to transmit to the next generation ‘the tie binding the road of science to the ways to God’ (331).